The talk of periods, issues associated with those days and products related to them have been never spoken out-loud for the longest time. But not anymore. Whisper India, has raevolutionaried the way women communicate with one another about one of the most natural experiences via its numerous initiatives including TouchThePickleJar and #OwnThose5Days. Whisper encourages women to defy tradition by doing what is taboo during those 5 days, breaking stereotypes and initiating a change. With new products being launched in the female hygiene category every day, there are ample choices for women and thus selections are dependant upon individual needs and style preferred. Until now I have been using Whisper's Ultra Clean XL Wings because of its long and sleek form that is comfortable and it has a lot of absorbing power which helps as I have a heavy flow. However, sometimes there is an occasional tear in the top cover and a bit of movement when I am very active. Having said that I have been very happy using the product and it has been extremely satisfying to use. 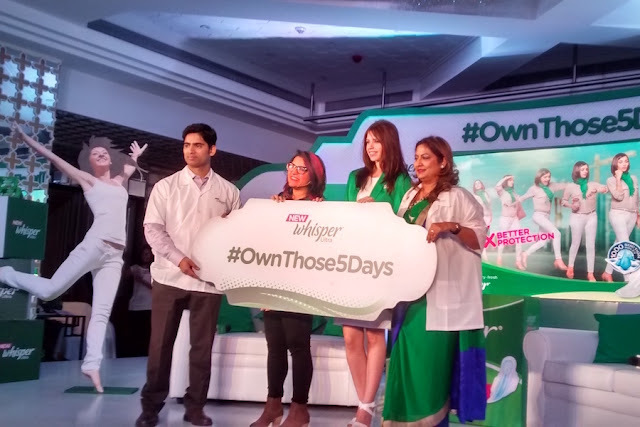 Last month when Whisper kick-started the #OwnThose5Days initiative and launched the all renewed Whisper Ultra Clean I was intrigued by the promises made, especially the 5 times better protection guarantee. At the launch event P&G’s R&D Expert Chetan Kotyalkar emphasised the changes made in the product to ensure a better experience. The newly launched product seemed one-up on the current one I have been using, so I gave it a shot especially since it is from the same brand. The very first thing that I felt was that it offered better comfort not only from a softer top cover but also dryness due to quick absorption via the 1000 plus conical-shaped suction holes. The additional length ensured protection for a longer period with a greater grip ensuring no staining, no movement thus no itchiness and rashes. The least I can say is that I’m impressed! In the beginning, I was a bit apprehensive about the 5 times protection and an all-night use, but on trying the pad it did give me a comfortable and peaceful night's sleep. 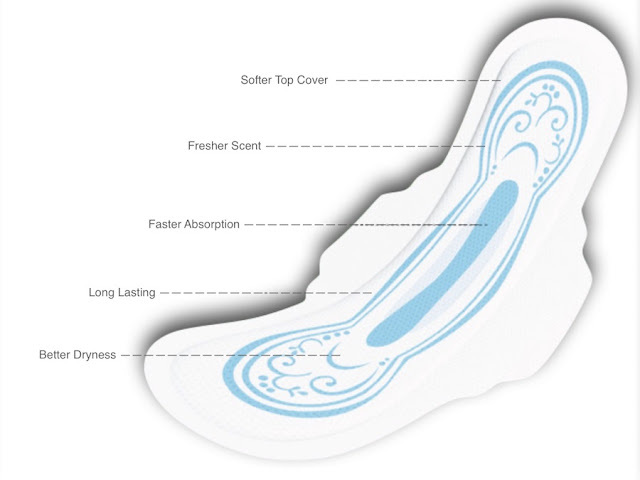 The adhesive on the pad is pretty strong and does not detach from where placed and wraps up snugly preventing leakage which is by far the major concern for every girl. However, the experience will be very subjective depending on individual flow and the number of hours one prefers to change the pad within. Using a pad that protects against two major concerns - leakage and duration and offers two major comforts - dryness and softness, I shall #BeUnstoppable and continue to cycle every day without the forced period break to #OwnThose5Days with Whisper. And you, are you ready to #OwnThose5Days? Get your free sample click here.